This album brings together two world première recordings and an undisputed masterpiece, Rodrigo’s Concierto de Aranjuez which, with its sublime Adagio, has become his most celebrated work. Frank Martin’s extraordinarily powerful Guitare is the composer’s orchestral version of Quatre pièces brèves for solo guitar [Naxos 8570191]. 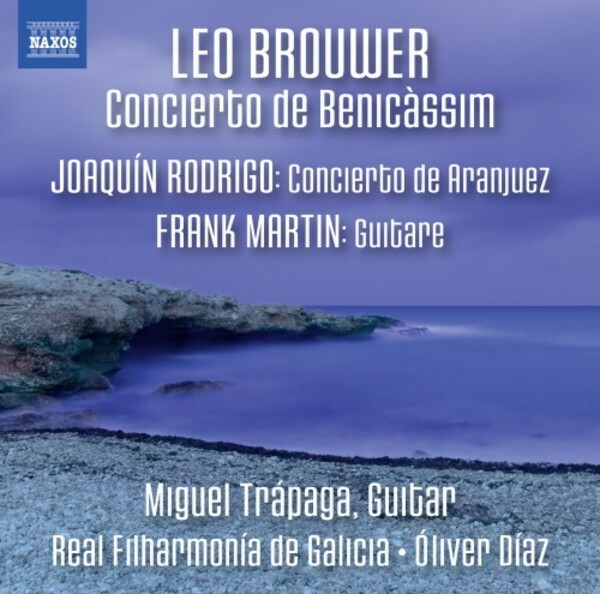 Echoes of Rodrigo can be heard in the cinematic Romanticism of Leo Brouwer’s Concierto de Benicàssim, described by the composer as ‘a panorama of my own ideas’. Written as a tribute to the 150th anniversary of the birth of Francisco Tárrega, it is revived here by Miguel Trápaga over a decade after its première.